When they're looking for a gourmet bakery, Oklahoma customers need look no further than their local United Supermarkets. The smell of fresh-baked bread wafts through your United Store several times a day as our master bakers prepare fresh french loaves, sandwich breads, focaccia and other fresh-baked goods for your dinner table. While you're shopping for your dinner, why not pick up some fresh-baked French bread? It's the perfect complement for a hearty soup, one of our jumbo rotisserie chickens, or a light salad. But Bread is Just the Beginning: Cookies, birthday cakes, doughnuts, and other sweet treats are available for pick-up or special order at your United Bakery. Everyone loves the smell of fresh baked bread. Oklahoma United stores bake up delicious, handmade breads and rolls fresh in store each day. 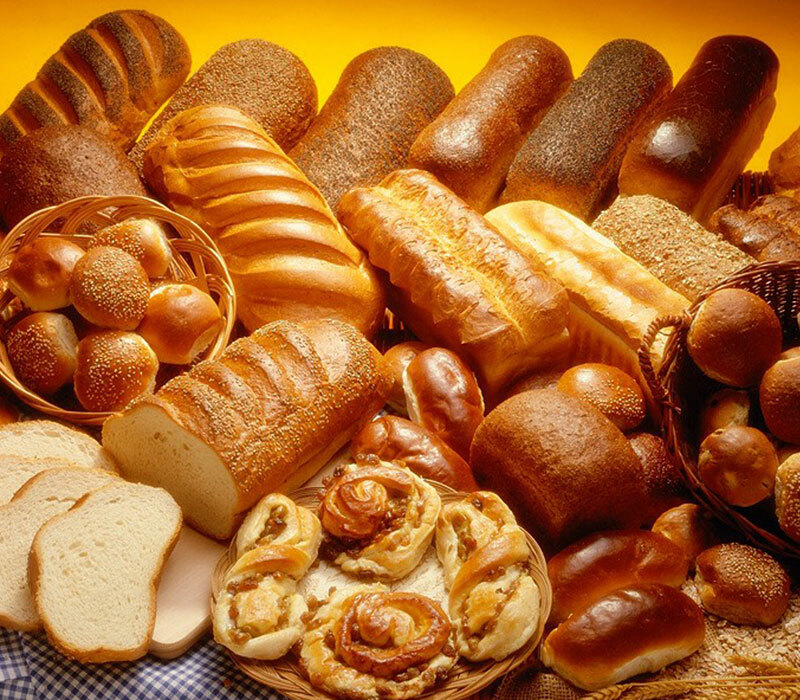 Oklahoma United stores bake up delicious, handmade breads and rolls fresh in store each day. Whether you need rolls, croissants, or good old-fashioned French bread, United has you covered. Try some of our fresh baked bread alongside your dinner tonight. Your United store offers an huge variety of fresh bread: Oklahoma customers depend on United for a their fresh baked bread. But because we bake fresh every morning, not every fresh bread variety is available every day. Call your local United Bakery to find out what we're baking for you today. No matter if it is for your child's first birthday or the office party, United offers birthday cakes & cupcakes Oklahoma shoppers have come to love. No matter if it is for your child's first birthday or the office party, United offers birthday cakes & cupcakes Oklahoma shoppers have come to love. That special day has to be perfect, and that's why shoppers trust their cakes to United Supermarkets. Choose from our favorite designs or create your own to make this birthday truly special. You can even order your custom cake online for pick up at select United locations! Now that's even more reason to celebrate! For that special day, the cake just has to be perfect. That's why you depend on your United Bakery create beautifully decorated and mouthwateringly delicious birthday cakes or cupcakes. 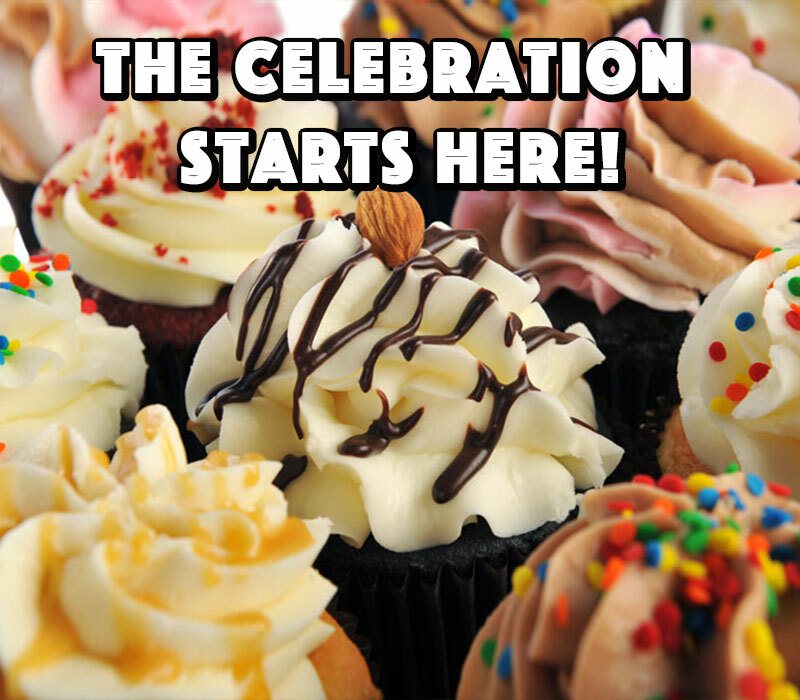 Don't wait for the next birthday to indulge in a luscious United Cake or Cupcakes: Oklahoma bakery customers have relied on United for years to provide decadent treats for every special occasion: office parties, going-away parties, anniversaries, graduation, and the like. We'll write your message on your cake, or even screen print it with your own photo! Camera icon: Personal photos can be screen printed on cakes at select United Bakeries. Call your United Bakery to find out about photo cakes. 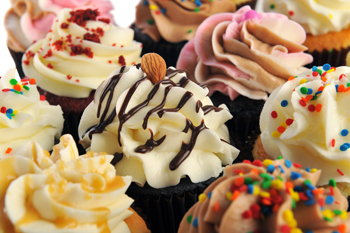 We offer white and chocolate cupcakes decorated in a variety of styles. See your local United Bakery to place an order for your next party! For the big day, leave the baking to United Supermarkets. One of the most difficult parts of planning a wedding- Oklahoma brides put their trust in United Supermarkets. For the big day, leave the baking to United Supermarkets. One of the most difficult parts of planning a wedding are the wedding cakes; Oklahoma brides put their trust in United Supermarkets. 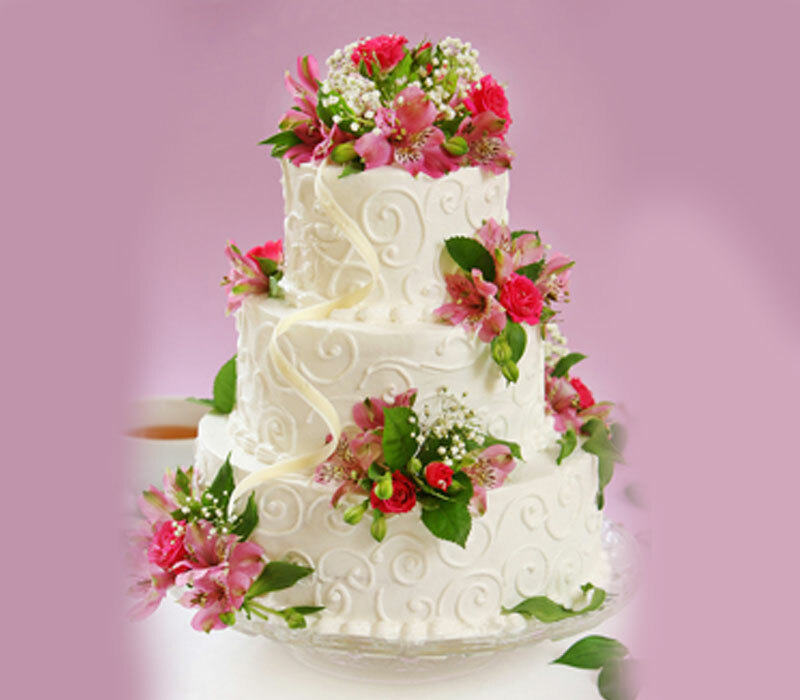 Select one of our predesigned wedding cakes or create your own and tailor it to your special day. Who Will You Trust to Make Your Wedding Cake? How do you choose the person to make your wedding cake? Oklahoma Brides choose the same folks they've trusted for years: their local United Bakery. Make an appointment to talk to your local wedding cake expert at one of the participating United Bakeries. We can't wait to see you!